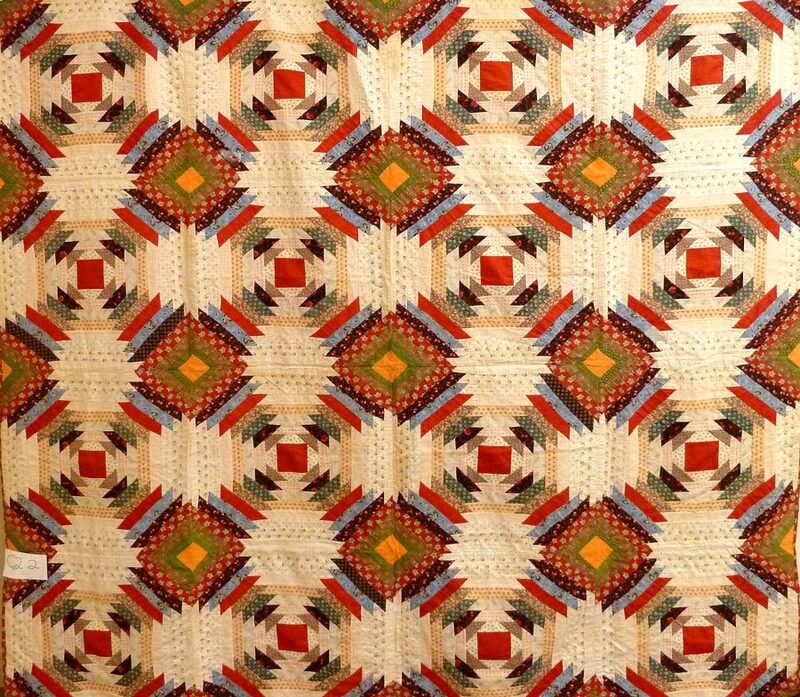 This major exhibition explores the living traditions of quilting in the North Country. The exhibit occupies two galleries at The TAUNY Center and features more than 60 quilts and comforters, sewing tools and fabric samples, photographs and interviews, all with interpretive text. The exhibition presents the findings of the Northern New York Quilt Project, a research effort organized and led by TAUNY that studied more than 1000 quilts, and was made possible with funding from The Coby Foundation in 2015. The exhibit is also funded by The Coby Foundation, as well as the National Endowment for the Arts, and the New York State Council on the Arts. The publication that accompanies the exhibit can be viewed at this link. Pendragon Theater, Saranac Lake, March 11:, 7:30 p.m.
Clayton Opera House, Clayton, March 12: 7:30 p.m. In 2016, Community Performance Series in Potsdam mounted a touring production of Quilters. The musical is based on an oral history of quilters in Texas which was published by Patricia Cooper and Norma Bradley Allen as The Quilters: Women and Domestic Art in 1977. The backdrop for each production of Quilters is a quilt composed of 16 blocks. The traditional patterns on the blocks are specified in the script of the musical. Each company that produces this musical must arrange for a new version of the backdrop quilt to be made. In Potsdam, quilter Jill Josephs volunteered for the job, a process that was documented by TAUNY executive director Jill Breit. The musical is produced in a partnership including TAUNY’s Northern New York Quilt Project, the SUNY Potsdam Crane Opera Ensemble and Department of Theater and Dance. Learn more or buy tickets here. TAUNY will host lobby presentations of the Northern New York Quilt Project at each performance of Quilters. This will be a chance to meet quilter Jill Josephs and learn more about the exhibition. 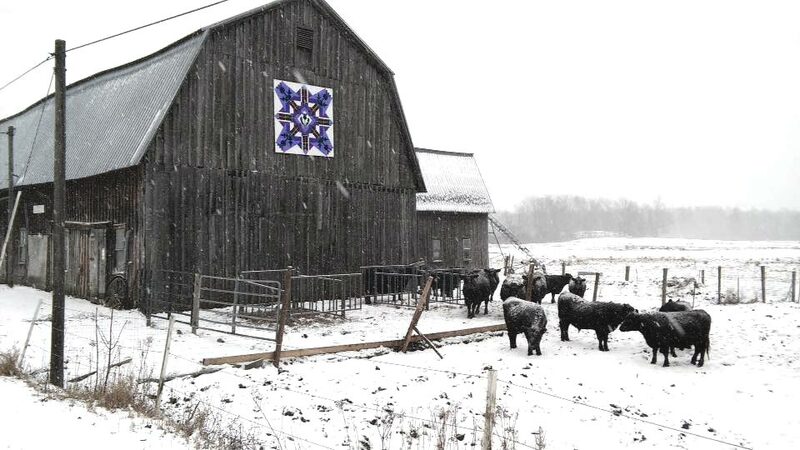 In 2001, a quilter named Donna Sue painted a quilt on her barn in Ohio to honor her mother, also a quilter. Next, she persuaded others in her town to paint quilt squares on their barns. People began to drive around to see them, and a tourist project was born. The idea spread and in 2014 reached the North Country. A grassroots effort in the town of Hammond to establish a barn quilt trail has inspired other North Country towns to do so, too. Quilts are symbols of rural America. Heritage tourism projects that celebrate rural heritage are a natural economic development tool for challenged rural communities. For the past year, Clarkson University social documentation student Emily Baker has been working with TAUNY to document the emergence of barn quilt trails in St. Lawrence County. Residents of Hammond, Canton, Colton, and towns in between are painting large quilt squares to display on their barns or houses, and inviting travelers to come by for a look. It's a great story of grassroots efforts to develop economic opportunities around heritage tourism. On April 3, at 2 p.m., we will screen a 30-minute documentary that Emily has produced about the barn quilt scene in the North Country. You'll learn where the idea came from, why people are doing it, how they are doing it, and what the results are. You may leave wanting your own barn quilt. Following the screening there will be a Q&A session and refreshments, and South Colton resident Ruth McWilliams will demonstrate barn quilt painting. Tesselation patterns resemble designs developed in the M.C. Escher style. Use contrasting colors to make the designs pop and move. Fabric in a light, medium and dark value or in three different color-ways with an “accent” piece is suggested. The basic shape is a parallelogram. This is a combination of easy piecing, gently flowing curves and one challenging arc. Intermediate skills combined with that one advanced curve. The completed size of your quilt will depend on how many units you put together. Examples of small wall hangings to a queen size quilt will be provided. Participants should bring their sewing machines to the class. Maximum enrollment is 10 so that each participant gets concentrated instruction from the workshop leader. Folklorist and TAUNY executive director Jill Breit and historian Hallie Bond will speak about their travels around the North Country to study more than 1,000 quilts and interview quilters about their work. They will present highlights of their quilt research and discuss how they brought their disciplines together for this project. Lecture will be followed by a Q&A and refreshments.